No one likes to see the summer season come to an end but that’s no reason that you can’t have a fantastic barbeque party to celebrate the change of seasons. With Fall quickly approaching, now is the time to throw a great together before the sunshine disappears. Gather together your friends, neighbors and family to come together for one last grill party for the year. Before you start worrying about Halloween and Thanksgiving, you have time to get things together for one final backyard blast. If you are in the south, the time is always great for a barbeque party without having to worry about the weather. If you want to plan a big end of season blowout you can always talk to a party caterer or a catering rental business to help you with getting everything you need. Make a plan and follow some of the guidelines below to get your party started. 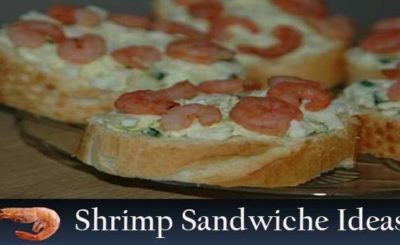 You should concentrate on all of the classic summer favorites that will always be a big hit with barbeque guests. Hamburgers, hot dogs, sausages, kabobs, shrimp and steaks can take care of all your meat needs. You might even want to try grilling some pizza up if you are feeding a large crowd. Try some corn on the cob right on the barbeque for a unique grilled taste and don’t forget to grill up a fresh variety of veggies in foil packets. Don’t forget about the classic barbeque sides. Potato and macaroni salads and some coleslaw will always be popular choices. Wrap it up with some grilled strawberries to be served over ice cream. No one wants to miss out on all the fun being stuck in the kitchen preparing all of the food for your barbeque. 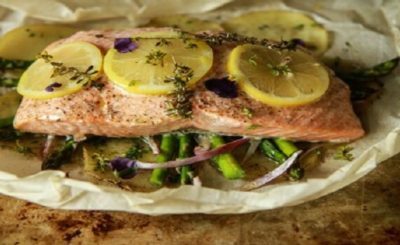 Take some time out of your week before the big event and start making some of your dishes ahead. You can make the potato and macaroni salads a few days in advance or start your meat marinades the night before. If you have an automatic ice maker you can start collecting bags of ice over a few days for stocking your outdoor drink coolers. Peel and shuck your corn and chop any vegetables that you plan on serving and just keep them in the fridge. You can start getting your property ready ahead of time too. Cut the grass a few days ahead so that it is neat and a good length for your guests. If you have a pool, make sure that the heater working or your solar blanket is in place for anyone that wants to take a dip in the water. 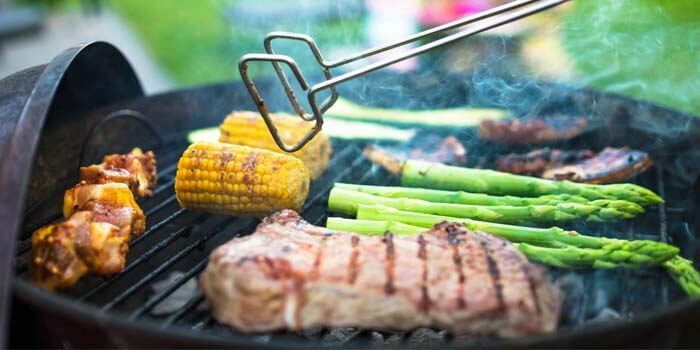 Clean your grill and barbeque utensils and make sure that you have a full tank of propane ready before the party. The end of any season is a great time to take advantage of big sale events. You may be able to get some great deals on a new barbeque, backyard furniture, lawn mowers, outdoor chairs or lighting for your porch. Visit the party shops and find all the lowest prices on summer themed decorations and save some money on getting festive. Streamers, balloons, plates, cups and plastic silverware are all available at really low prices at the end of the summer season. The late summer and early fall can have unpredictable weather. You could end up with rain in the forecast so it’s a good idea to include a rain date on your invitations so no one misses out on the fun. With warm days falling into cool evenings, keep your guests comfort in mind. Get some firewood ready for the firepit and think about getting the supplies for S’mores that everyone loves. You could rent some patio heaters that will keep everyone toasty warm during the cool evenings. Put together a sweater bin that guests can borrow to fight off the chill. Make sure that you have plenty of throw blankets laying around your patio furniture for anyone that wants to cuddle up for a little warmth. Just because the summer is starting to come to an end, doesn’t mean that you can’t still have a barrel of laughs at your barbeque. Put up a portable net and get a game of badminton or volleyball going. Play a few rounds of bocce ball or have a horseshoes tournament before dinner. There are lots of classic outdoor games that are great for kids and adults alike. Buy some glow sticks or sparklers to help celebrate into the night.